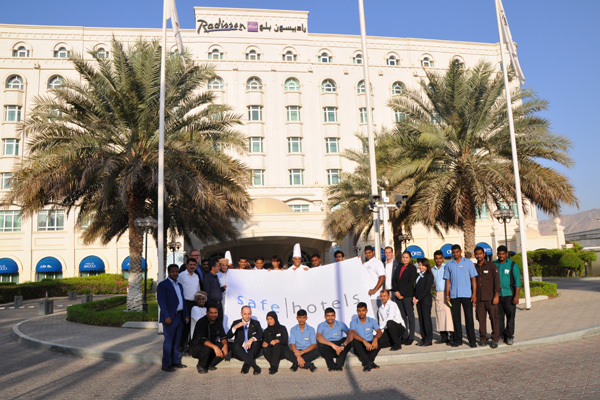 Radisson Blu Hotel, Muscat has announced the renewal of Safehotels certification and has also achieved the Premium Level of certification in accordance with The Global Hotel Security Standard of Safehotels Alliance AB. Safehotels Certification independently verifies the Safety and Security best practices in hotel and meeting venues with regards to the hotel facilities and safety services process and procedure, training management, security equipement, fire equipement, fire procedures and training risk prevention as well as crisis recovery management. Premium certification is only awarded to businesses that maintain a high level of security to internal and the immediate external premises.